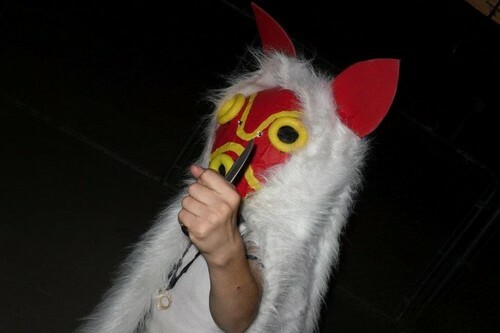 हैलोवीन Costume [Princess Mononoke]. My neice is the coolest 9 साल old girl ever because she wanted to be Princess Mononoke for हैलोवीन and my sister is awesome because she made this costume!. HD Wallpaper and background images in the हैलोवीन club tagged: halloween costume princess mononoke.